The Naumann Group has six offices that cover three MLS systems, covering all of the Emerald Coast, 30-A communities, and surrounding beach communities; St. George Island, Apalachicola, the Franklin County area; and all of Tallahassee. The Naumann Group is the only regional, locally owned real estate company with six offices spanning three distinct areas. 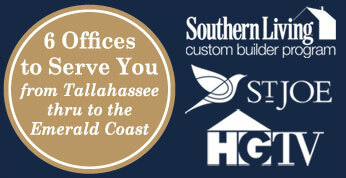 Each one of our offices is staffed with local real estate agents who live and know the local demographic. This benefits us by knowing the best way to market to each individual area while keeping our brand consistent throughout the region.